Follow a blended learning approach from home or work, at your own pace but with full support from support, responsive tutors. Tutors are also experienced business consultants, so can help you get the most practical, real-world value from psychometrics. We can navigate you pragmatically through some of the more technical, academic aspects of the course. We are also experts in bespoking psychometric reports to specific applications, whether for recruitment or development purposes, and can provide you with end-to-end support after your training to ensure that you create the most impact in the workplace with your new skills and tools. 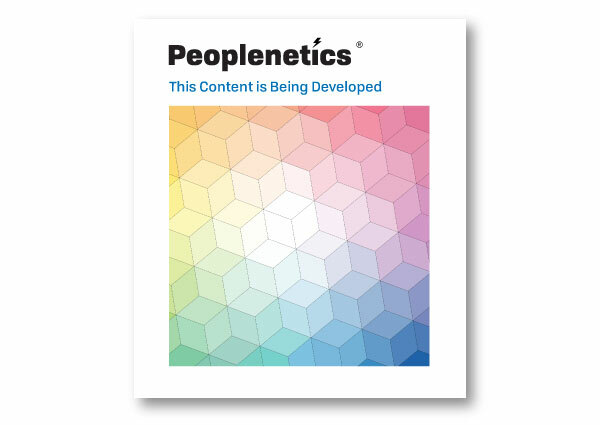 Peoplenetics is not a large test publisher and we remain independent and able to offer you the best advice across the whole market for psychometric assessments. We can give you impartial advice on what tools may work best for which application. You may even find it difficult to understand which training path you may need to take in order to get access to a particular tool. You would be in good company, and we would be happy to discuss your best option with you.